The multiyear agreement will result in 500 hours of live programming from the racetracks in 2019, and more than 600 in 2020. The New York Racing Association has reached a deal with Fox Sports that will put nearly every card at NYRA’s Belmont Park and Saratoga Race Course on the company’s television networks for at least the next two years, the two companies announced on Thursday. The multiyear agreement, which will result in 500 hours of live programming on Fox’s television networks in 2019 and over 600 hours in 2020, the companies said, is the most expansive television deal for a racing entity since the launch of TVG nearly two decades ago. Under the deal, NYRA will produce the broadcasts on a daily basis, using its talent and a Fox Sports host, Greg Wolf, with funding also provided through a presenting sponsorship by America’s Best Racing, the marketing company owned by the Jockey Club. The deal is non-exclusive, according to NYRA spokesman Pat McKenna, meaning NYRA’s races will continue to be broadcast on TVG, the sport’s only dedicated horse racing channel, and on other regional networks, such as MSG. However, whereas the NYRA races share air time with competing tracks on TVG, the Fox broadcasts will focus exclusively on NYRA’s product, and the Fox broadcasts will also be more widely available in high-definition. While TVG has the capacity to broadcast in high-definition, it has been assigned high-definition slots on only a handful of cable and satellite networks, to the frustration of many top-class racetracks like NYRA that have invested significant resources in high-definition capabilities. NYRA officials declined to discuss additional financial arrangements of the deal. Mike Mulvihill, Fox Sports’s executive vice president of league operations, research, and strategy, said that the company is increasingly looking for live sports content, and that the company is especially interested in live content related to wagering in the wake of the U.S. Supreme Court decision earlier this year allowing states to legalize sports betting. FS2 recently launched a show dedicated to sports-betting topics. Mulvihill also cited Fox Sports’s history with NYRA as proof that the racing association “can deliver high-quality content.” NYRA first partnered with Fox Sports in 2016 to produce a series of live broadcasts from Saratoga that resulted in 80 hours of live programming. 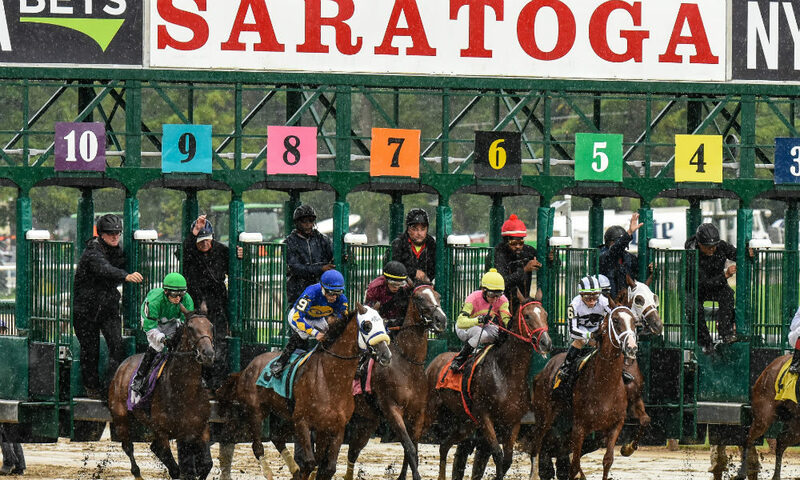 The series was expanded in 2017 and 2018 with additional coverage from Saratoga and broadcasts from Belmont Park. McKenna said that the broadcasts will primarily run on FS2 and feature nearly every card run at Belmont Park’s fall and spring meetings and at Saratoga, NYRA’s most popular racetrack. The broadcasts will run at least one hour each day, and will often run as long as six hours, McKenna said, particularly on weekends. Because NYRA has not yet released its live racing schedule for 2019 and 2020, specific details on broadcast windows have not yet been hammered out, McKenna said. NYRA typically runs 225 live race cards annually at its three tracks, which, in addition to Belmont and Saratoga, also includes Aqueduct. NYRA also operates its own account-wagering network, NYRA Bets, which is expected to be heavily promoted during the broadcasts.